At the TreeTop Challenge you have the option to enjoy the Canyon Flyer Guided Zip-Line Tour or Arial Adventure Parks. The Canyon Flyer, is a full 3hr guided tour where customers experience thrill of flying along 1.4km of Zip-Lines suspended more than 60m in air and experiencing speeds up to 70km per hour! The Adventure Parks have 180 TreeTop Challenges including 20 Huge flying foxes, Tarzan Swings and more. Enjoy the beautiful ocean scenery as you take a walk-through Burleigh National Park. There are two equally stunning routes including an Ocean View Walk and Rainforest Circuit. End up at Tallebudgera creek which is the perfect spot for a swim or kayak. The Springbrook National Park is one of the most beautiful parts in the Gold Coast hinterland. The Natural bridge in particular is worth visiting. Its only a short walk through the beautiful hinterland. Experience the beauty of the glow worms at Mount Tambourine. Set in a realistic man-made cave. Step into the darkness and be meet with a starry night of worms. If you’re looking for a challenge. Mount Tibrogargan will not disappoint. The summit sits at 364 metres and the views are breathtaking. Hike up the picturesque Mount Coolum. The distance is a pleasant 1.6km return and from the top you’ll see 360 degree views of the Glass House Mountains, Blackall Range and Noosa Heads. Get amongst wild creatures in one of the country’s most famous Zoos. There are plenty of big, small, scaly and furry animals for the whole family to enjoy. With a variety of shows and attractions, this is a great way to enjoy the outdoors on the Sunshine Coast. Enjoy the world’s largest Koala Sanctuary just 12km from the CBD. Enjoy holding and feeding one of the 130 koalas in the sanctuary. The Lone Pine Sanctuary is an outdoor activity for the whole family to enjoy. Challenge yourself to new height, by climbing the most iconic part of the Brisbane Skyline. The Story Bridge Climb allows you to see views spanning the city, Moreton bay and the science rim. 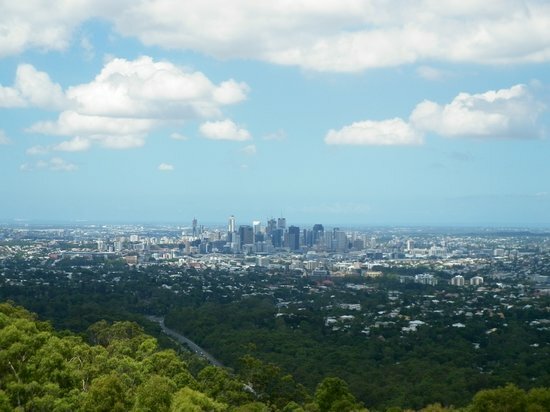 See Brisbane from a different angle at the Mt Coot-tha lookout. Take a walk through the national park or have a picnic while you gaze over the Brisbane Skyline in the distance.